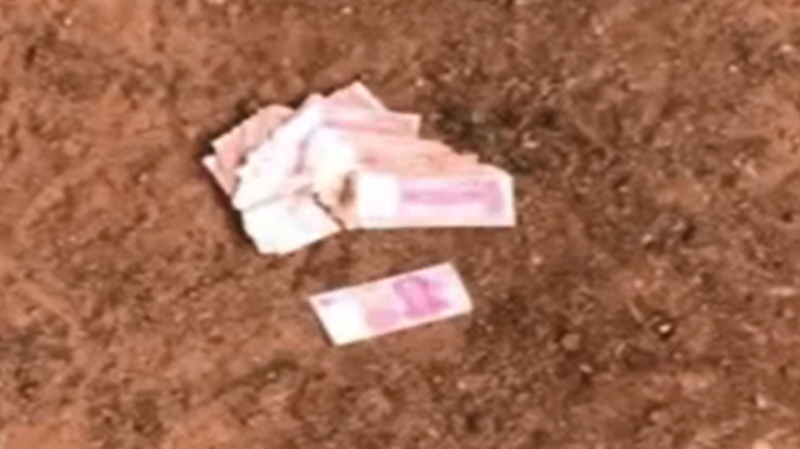 A large amount of cash was spotted in a giraffe compound in a zoo. A female police officer was seen directing traffic with a baby in hand. A headmaster of a local school is having a lunch with eight students. Local scientists have invented a new kind of paper, which can remain intact in fire. Dust tornados have swept across northern China recently. A wedding photo featuring a woman and her mentally disabled husband has touched many netizens. This wheelchair-bound girl has become an online celebrity recently. A former police officer was in the right place at the right time to disarm a knife-wielding ex. A woman called the police after hearing some "strange noises" in her living room.